Rainfall prediction is always a challenge. 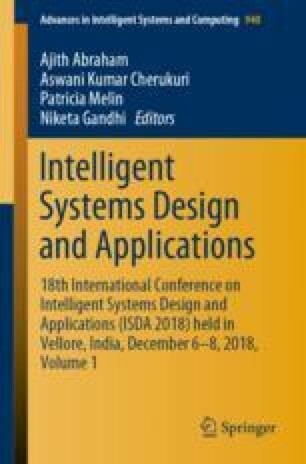 This study proposes a hybrid model (PARM-Ant: Probabilistic Context-free Grammar based Association Rule Mining using Ant Colony Optimization) for rainfall prediction in India. The model considers three different algorithms to process rainfall data. The proposed algorithm includes frequent item-set based Association Rule Mining (ARM) using formal grammar, Probabilistic Context-free Grammar (PCFG) and Ant Colony Optimization (ACO). Here, grammar guides the whole process using grammar rules or conditions by determining probability values. The purpose of ACO is to find a suitable probability value to categorize input records with relevant categories as 0 and 1 (Rainfall: No and Yes). This work presents predicting rainfall into various categories based on 12 important weather condition variables. Experimental results show that the proposed algorithm provides accurate categorization results. The first author would like to thank the management of the Kalasalingam Academy of Research and Education (KARE) for providing a fellowship to carry out the research work.